Page 10 - Play Today | KaBOOM! The summer of 2010 was a summer I will always remember—but not because of an exotic vacation or cross-country road trip or adventure-filled summer camp. Instead, I stayed right at home and explored local playgrounds with my twins. We were one of six families to participate in the first-ever KaBOOM! Summer Playground Challenge. When the Challenge ended, I observed a marked change in my children – they appeared healthier, happier, stronger, and more self-confident. 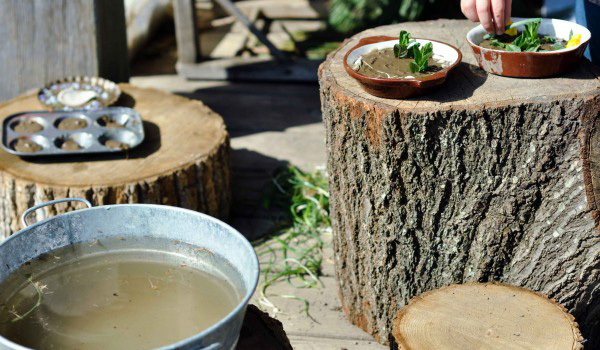 While everyone knows that outdoor play is beneficial for kids, what I didn’t expect was how transformative the Challenge proved for mom as well! Regular outdoor play is good for the soul. Activities like swinging, building sandcastles, rolling down grassy hills, and running through a fountain on hot summer days help you feel like a kid again. You will also have incentive to escape from computers, piles of laundry, and other distractions. It’s easier to get your kids to bed. Each day will provide your children with opportunities to be physically active as they increase their strength, coordination, and endurance. As a result, they won’t be as squirmy at home and will rarely have trouble falling asleep at night! Play opens doors to teachable moments. Rather than constantly playing the role of disciplinarian, you become a support to your child’s exploration, discovery, and learning. As you explore playgrounds and nature areas, your children will undoubtedly ask you endless questions, and each day will be filled with teachable moments. You meet new people in your neighborhood. As you explore, you will inevitably strike up conversations with other parents, contributing to a sense of community and connectedness. This can be particularly meaningful for stay-at-home parents – a job that is sometimes very isolating. Your family can experience new places right at home. Many participants, myself included, found that until they took on the Challenge, they were unaware of the surprising number of parks, playgrounds, and nature preserves in or near their community. They discovered hidden gems and explored nearby neighborhoods they had never had reason to visit before. As a gift to yourself and your children this summer, allow for plenty of time to play, and consider being a part of the national 2012 Playground Challenge! The 2012 Summer Playground Challenge asks parents to visit playgrounds and add them to our Map of Play using our soon-to-be released Tag! mobile app. If you need another reason to join our Challenge, participants will earn points and badges toward great prizes throughout the summer and toward one of three Grand Prizes--a trip for two to Washington, DC! Sign up for more information here. Photo by Liza Sullivan, 2010. 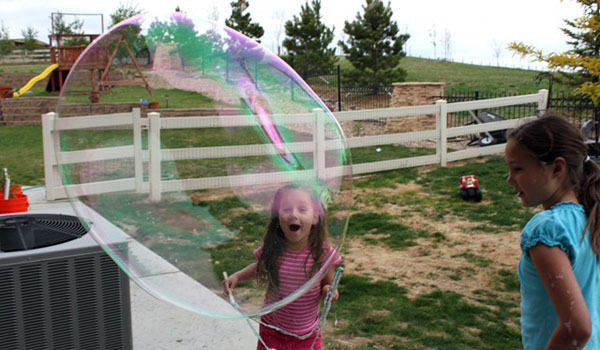 What backyard games did you invent growing up? How many kids see "no running" signs at swimming pools and suddenly feel compelled to run? We all know that kids don't like being bound by a rigid set of rules, prefering instead to bend or outright defy them. T-ball or pee-wee soccer can be a painful spectacle to watch, largely because the players don't understand why they can't run to another base whenever they feel like it, or why they can't pick up the soccer ball and throw it. For kids, the best part of learning the rules to a new game is figuring out how to creatively adapt them. 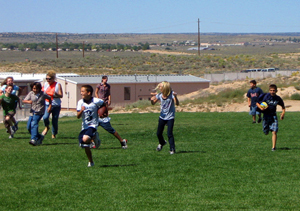 How many of you played "customized" versions of Red Rover or Capture the Flag? Or how many of you invented your own games from scratch, creating and revising the rules as you played? In honor of National Backyard Games week, share with us a game you invented growing up in the "Comments" section below. 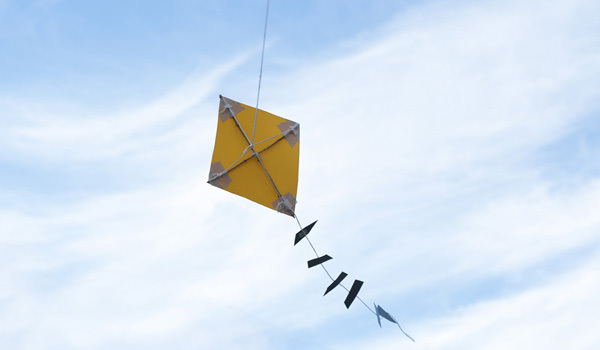 We'll feature our three favorite games on our blog and send the inventors a free copy of our new Go Out and Play! 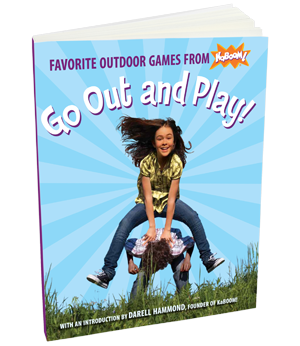 book, a collection of great outdoor games. Friends in play, we are gathered here today to mourn the imminent passing of three dearly beloved playground slides. 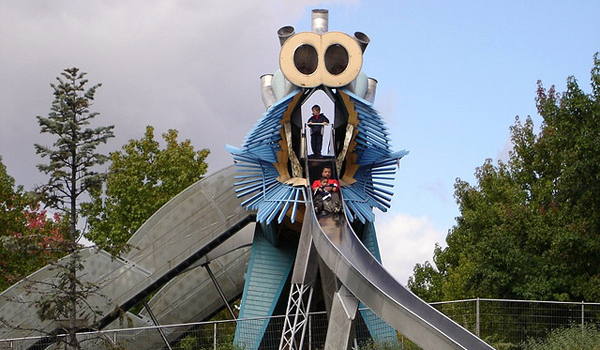 As longtime residents of Union Grove, Wis., these slides have brought joy to countless children who have reveled in their thrillingly tall ladders and periliously long snouts. Alas, tomorrow's children will never enjoy such singular pleasures. In the name of safety (and, ahem, liability), the insurance company of Union Grove is seeing to it that our eccentric, rickety friends meet their demise. Though not everyone is mourning the passing of our dearly beloved slides, even they admit that "kids are going to be sad." As are we. Not just for the children of Union Grove but for children the world over who are forced to contend with shorter, stouter, yawn-inducing slides. 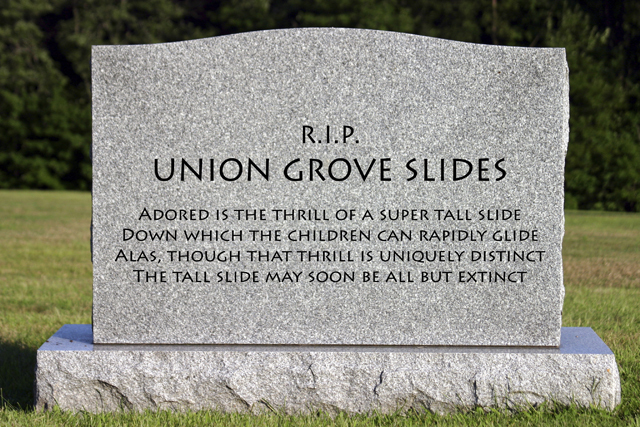 Tall slides of Union Grove, and tall slides everywhere, you will be dearly missed. Friends in play, we invite you to pay your respects in the "Comments" section below. Maurice Sendak once said, "Children are tough, though we tend to think of them as fragile. They have to be tough. Childhood is not easy." He gave kids a lot more credit than we tend to these days, respecting both their resilience and their imaginations. 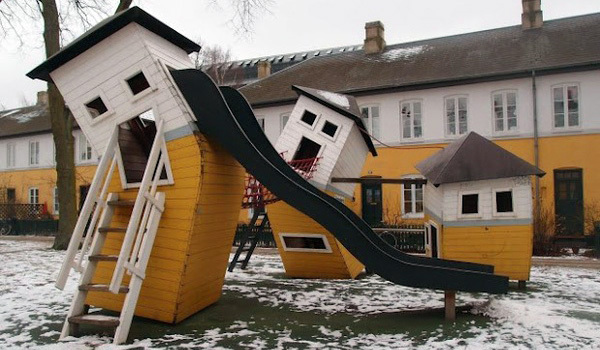 Many of today's playgrounds do neither, lacking both whimsy and risk. After receiving the Caldecott medal in 1964, Sendak said, "...it is through fantasy that children achieve catharsis. It is the best means they have for taming wild things." 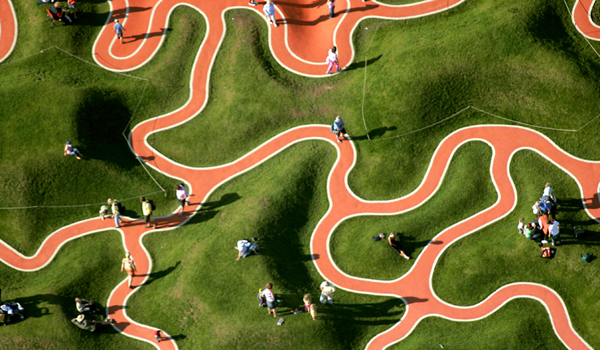 A Monstrum playground in Denmark, via Colossal. 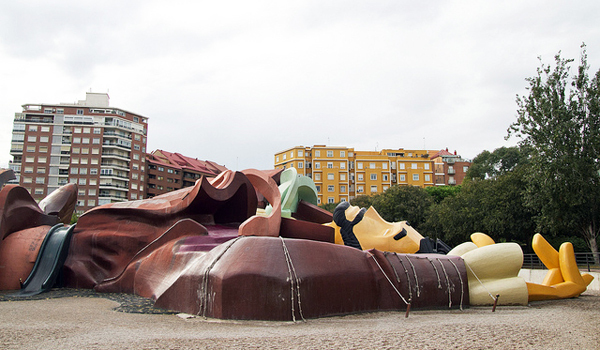 Parque Gulliver in Valencia, Spain, via roboppy (cc). Parc de la Villette in Paris, France, via cicilief (cc). 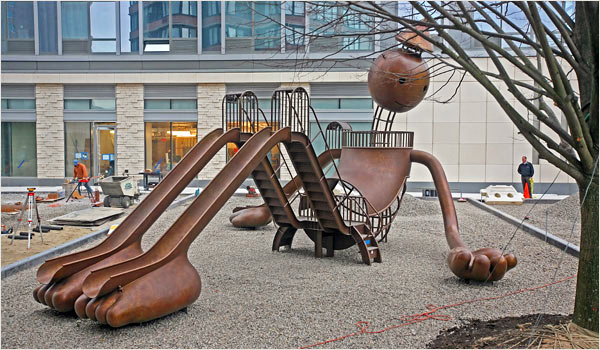 Play sculpture by Tom Otterness, New York City, via Playgroundology (cc). Hakone sculpture park in Sapporo, Japan, via Playscapes (cc). BUGA 05 Garden in Munich, Germany, via Landezine (cc). Get your tribute badge now by signing up on our Map of Play! 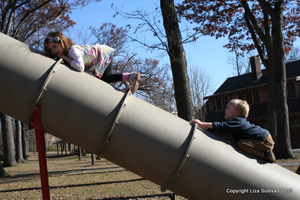 Check out our related post, Our favorite dangerous playgrounds. 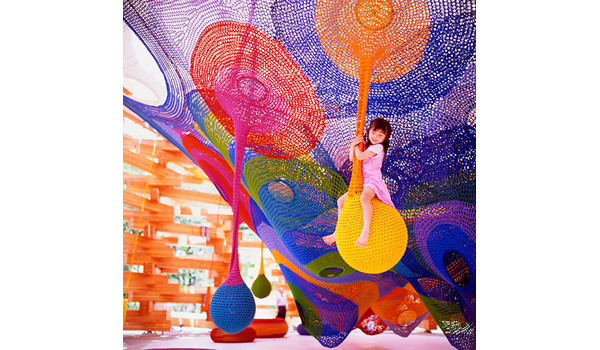 For more inspiration, visit our Wacky & Wild Playgrounds Pinterest Board. Want to pay tribute to Maurice Sendak? 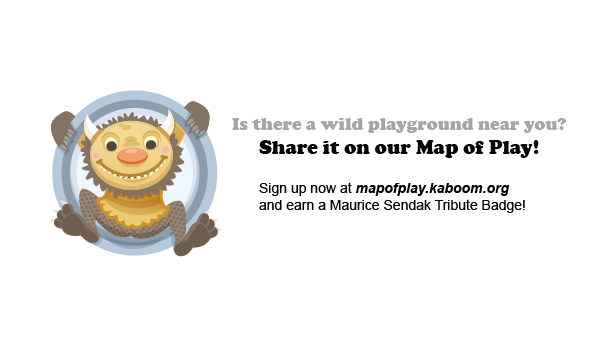 Earn your very own Maurice Sendak Tribute Badge by signing into our brand new Map of Play. 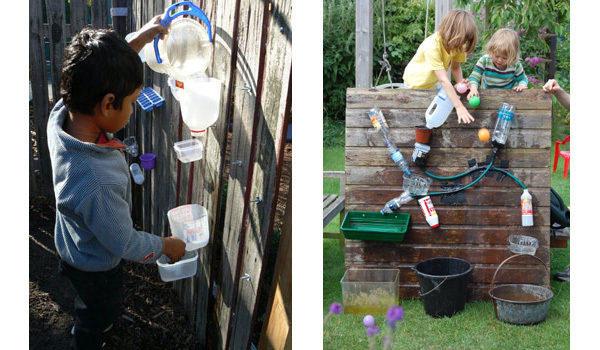 By taking action for play now, you can help fuel children's imaginations for generations to come! We talk a lot about allowing kids time for unstructured, unsupervised play, but we know there are other ways to play. We also support kids playing under the guidance of coaches, teachers, and of course, parents. In fact, making time for family play is critical to family well-being. Playing with your kids can mean chasing them around the playground, challenging them to chess, or building sandlcastles together. But parents can also inject a playful spirit into routine chores and activities, like chopping veggies for dinner, shopping at the grocery store, or walking home from school. Does your family need more play? This video, made possible by Foresters, will show you why it's important and how you can make family play a priority. Tell us how your family plays together in the comments section below! According to New Orleans artist Josh Ente, there's no reason why not. Abandoned houses denote ruin and despair. Ball pits, by contrast, are bright, happy places, full of gleeful children. Josh says that since Hurricane Katrina, the number of vacant housing units in New Orleans has doubled, and he, for one, is sick of seeing homes in his neighborhood left to slowly decay.